The Valley of Flowers. A breathtakingly beautiful (literally!) high altitude meadow of alpine flowers in the Western Himalayas. 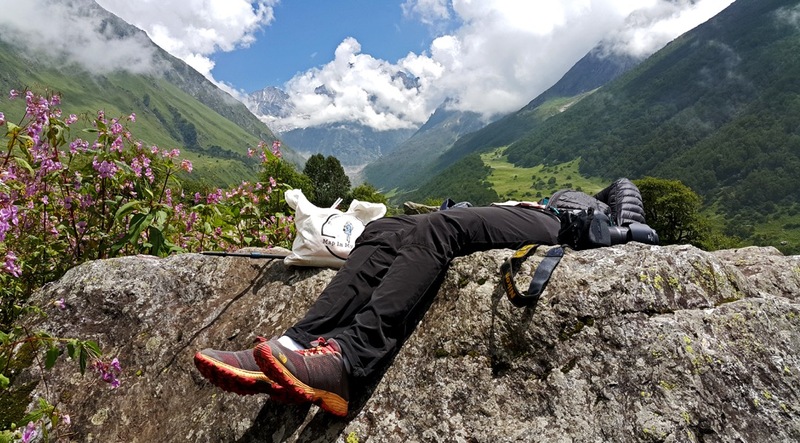 Accessible only through a trek route through the mountains, this valley is located in a transition zone that lies between the Zanskar Region of the Himalayas to the north and the Greater Himalayas to the south. Together with the Eastern and Western Himalayas on either side this valley is endowed with some extraordinary bio diversity. From numerous restricted range bird species to highly threatened species of medicinal plants this high-altitude Himalayan valley isn’t just about stunning flowerscapes. Together with the rugged wilderness of the Nanda Devi, these two National Parks are inscribed as an UNESCO World Heritage Site. Commandeered over by India’s second highest mountain, Nanda Devi and reached through the world’s deepest gorge, Rishi Ganga, the Nanda Devi National Park is renowned for its spectacular topography. It is surrounded by glaciers and meadows, of which the Valley of Flowers is one. Thank you so much. ☺️ Did it look very different then? It sure is a crowded trek route now. What a beautiful place !!!! very nicely captured. Great post! Looks like a trip of a lifetime!